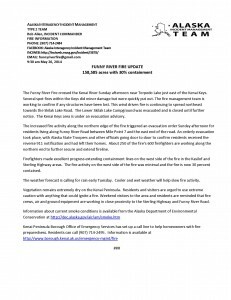 The Funny River Fire crossed the Kenai River Sunday afternoon near Torpedo Lake just east of the Kenai Keys. Several spot fires within the Keys did minor damage but were quickly put out. The fire management team is working to confirm if any structures have been lost. This wind driven fire is continuing to spread northeast towards the Skilak Lake Road. The Lower Skilak Lake Campground was evacuated and is closed until further notice. The Kenai Keys area is under an evacuation advisory. 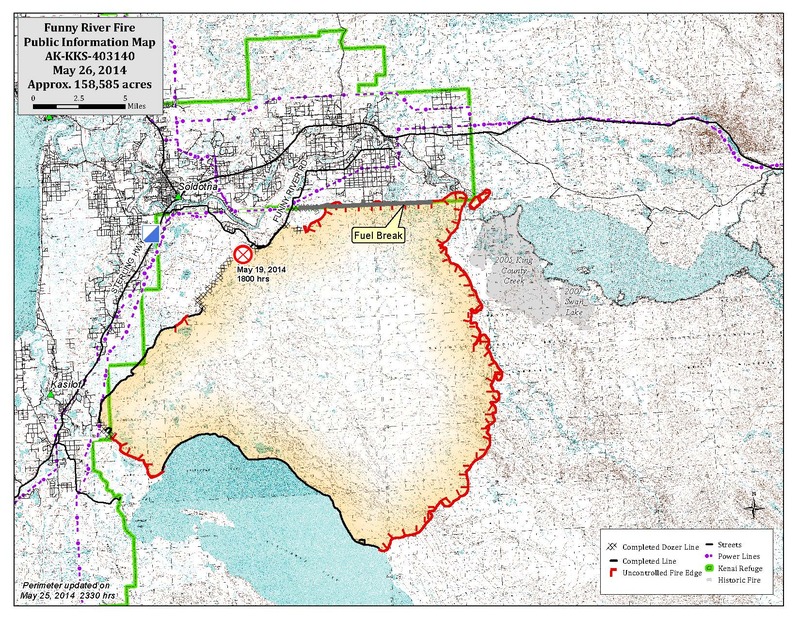 The increased fire activity along the northern edge of the fire triggered an evacuation order Sunday afternoon for residents living along Funny River Road between Mile Point 7 and the east end of the road. An orderly evacuation took place, with Alaska State Troopers and other officials going door to door to confirm residents received the reverse 911 notification and had left their homes. About 250 of the fire’s 600 firefighters are working along the northern end to further secure and extend fireline. 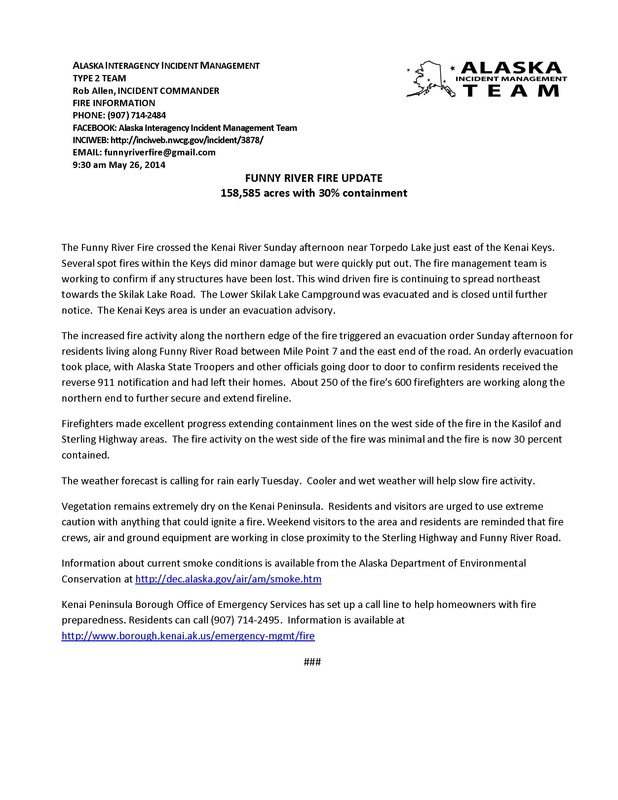 Firefighters made excellent progress extending containment lines on the west side of the fire in the Kasilof and Sterling Highway areas. The fire activity on the west side of the fire was minimal and the fire is now 30 percent contained. The weather forecast is calling for rain early Tuesday. Cooler and wet weather will help slow fire activity. This entry was posted on May 26, 2014 at 10:10 am. You can follow any responses to this entry through the RSS 2.0 feed. You can skip to the end and leave a response. Pinging is currently not allowed.